If you have extra space at home, or a few properties at your disposal, you’re probably thinking of letting. As expected, the process of letting can be a bit time-consuming. Just like anything else in life, preparation is one of the major keys in successful letting. There are plenty of things you need to do before you start interviewing potential tenants. First, you have to make your home look inviting. Remember, first impressions are everything when it comes to a property. This means your property has to look good in able to get the best tenants. Your property has to look good both internally and externally. The exterior look is the first view that your potential tenants will get. You need to focus on giving it a better appearance. The better appearance, the better chances of getting tenants willing to pay better. As for the interior, there are also tons of stuff to consider. Aside from the basic cleaning and repair duties, you also need to make sure that your property meets the safety standards for gas and furniture. Think about how your property will be advertised. List down the best assets of your property and be sure to add it to your listing. Your tenants need to know everything about your property. Will you be living with the tenants? Will you be living nearby? Do you want to rent to students, families, couples? Make that clear from the start, this way you can work out where are the best places to advertise, ie; local paper ? online? student publications? 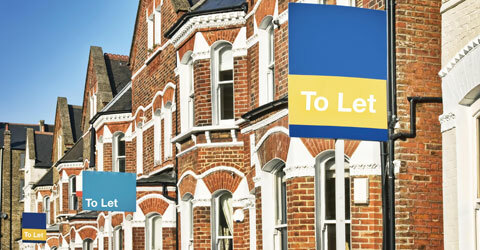 Do you have more tips for your fellow landlords? Let us know in the comments below!